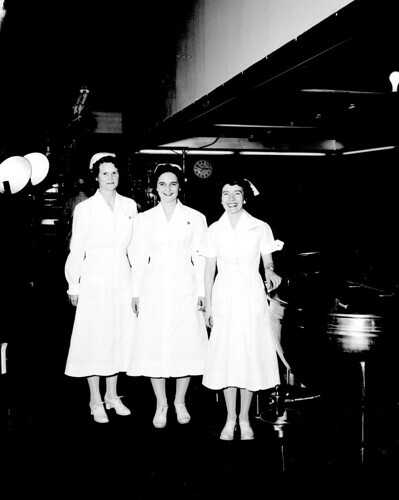 Nurses at the then-new VA hospital on Beacon Hill, October 1951. The hospital is still there, but today's nurses dress differently. Photo courtesy of Seattle Municipal Archives.